In a previous post, we discussed the importance of daily writing. Like athletes, we writers need to exercise our creative muscles in order to improve our performance. You don’t have to write much, but you need to write something. 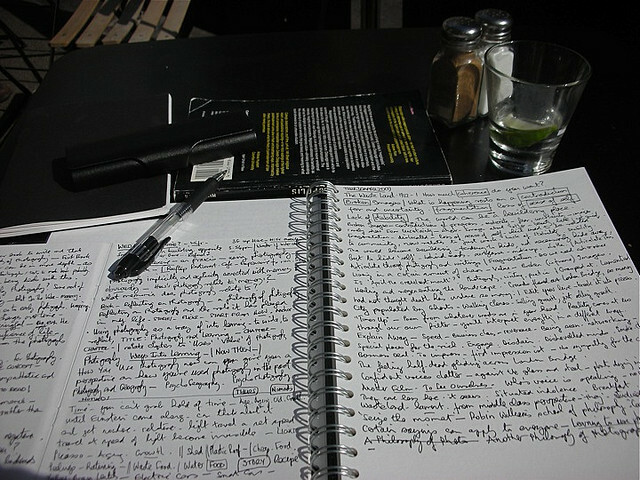 I write at least 350 words each and every day, no matter how tightly my schedule is packed. Even if I don’t get anything down past the 350, I feel accomplished. 350 for 365 days ends up to be 127,750 words–which is nothing to sneeze at, if you ask me. I refer to this technique as “the nifty 350.” I’m not sure who coined this term, but I’m going to borrow it. Basically, before your day has time to completely derail your creative consciousness, you sit down with your notebook or laptop and hammer out at least 350 words. That’s all there is to it. You may write more than 350 words. Those morning pages may be the initial spark for a dozen more pages. The only rule is that you have to put down your nifty 350. And it’ll pay off–I can promise you that. “The Nifty 350” is a really good way of putting it! I’ve been trying to discipline myself to write daily but I was having a hard time deciding how many words per day. Thanks for solving my problem!